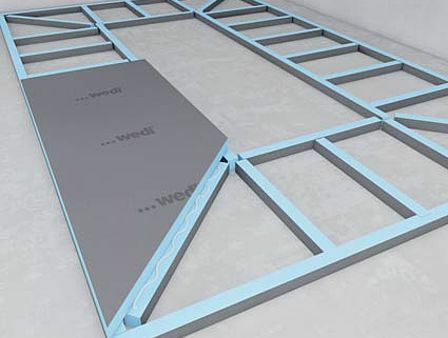 The wedi building board can also be the used for creation of steps and platforms in domestic applications only. 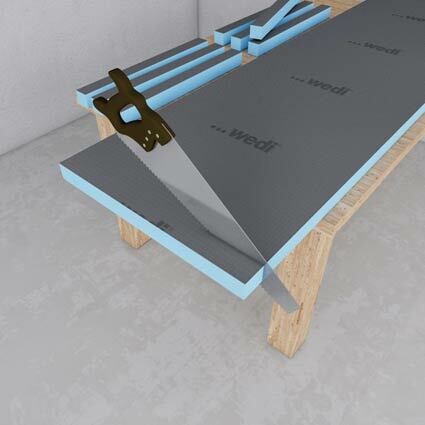 After cutting and installation the wedi building board can be finished with any tile based surface covering (min tile dimensions 10 x 10 cm). 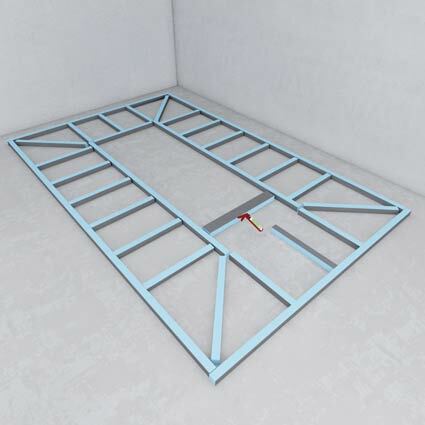 Step 1 Cut wedi building board to size for creation of the platform struts. 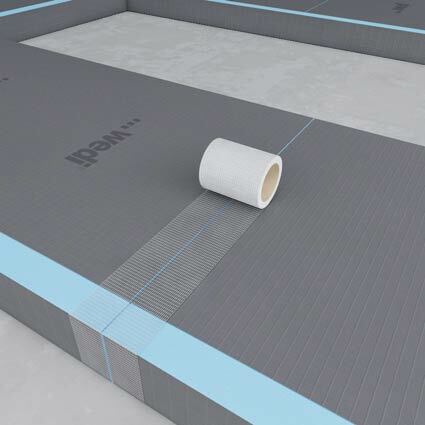 Step 2 Apply wedi 610 adhesive sealant to the surface edges, set a maximum distance apart of 40cm. 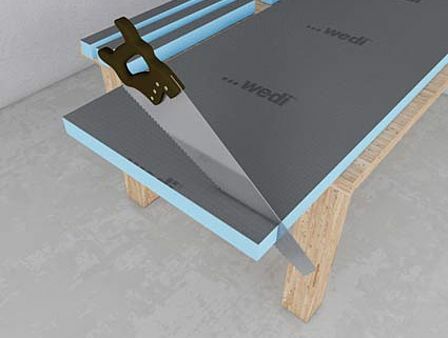 Step 3 Affix building board as cover onto the platform struts using wedi 610 adhesive sealant. 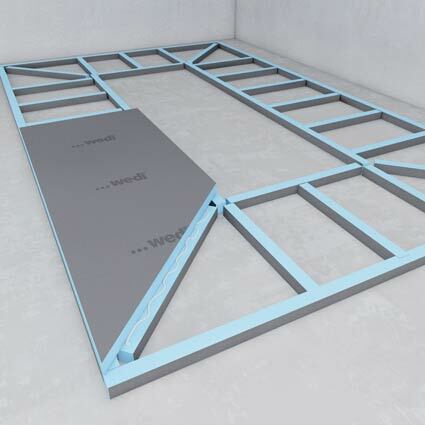 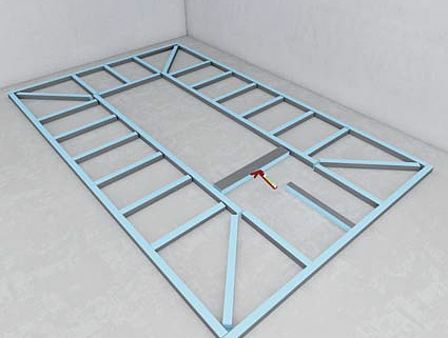 Board joints must always be supported and correspond to a strut beneath. 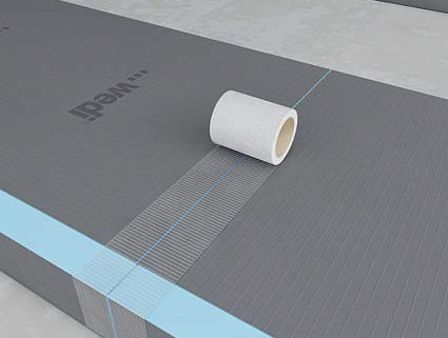 Step 4 Apply self-adhesive wedi Tools reinforcement tape to all joints.